FELIWAY® can help your cat adjust better to modern living by creating a supportive environment to help deal with unwanted feline behaviour. This can help transform your lives by bringing you closer together. 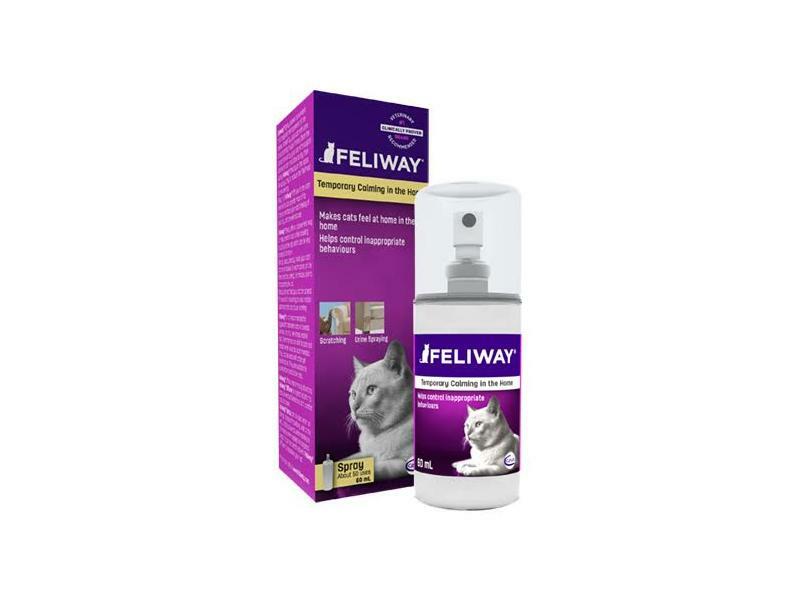 FELIWAY® is a synthetic copy of the ‘feline facial pheromone’ or ‘happy marker’ that cats leave behind when they rub their face on people, furniture, doorways and other objects in the home. It is a sign they feel comfortable and safe at home. 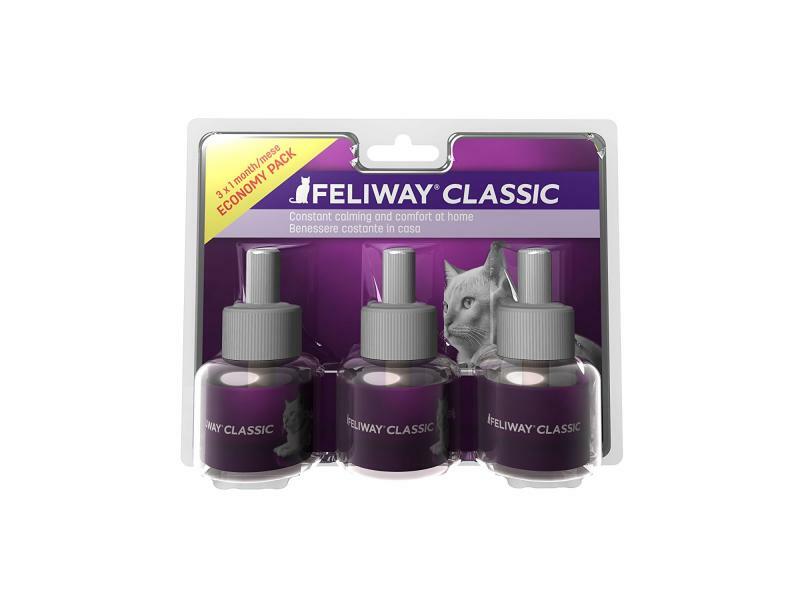 FELIWAY® used in the cat’s home environment provides the same comforting effect as natural pheromones do when deposited by cats themselves. Feliway is a non-sedative, non-systemic and as such can be used alongside other types of medications. 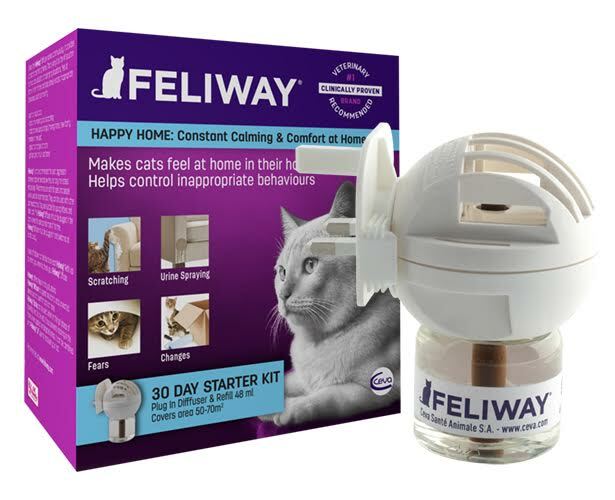 The FELIWAY® products have been improved to ensure that cats and owners around the world are provided with the best support. The Feliway Diffuser should be changed every 6 months. Over time, if untreated, these behavioural changes may cause health related issues. Using FELIWAY® can help give your cat a feeling of calm and reassurance. It is clinically proven to help reduce inappropriate behaviours caused by stress. Over 25 published clinical papers support the use of FELIWAY®. It has been used by vets and pet owners worldwide for over 19 years. 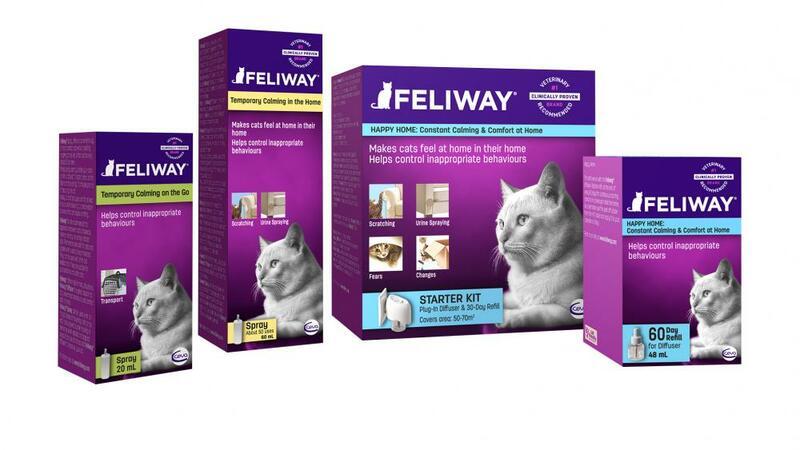 FELIWAY® is safe, easy to use and convenient. The diffuser releases a comforting pheromone in the local environment and should be plugged into the room where the cat spends most of it’s time, perfect for preventing unwanted behaviour at home. The 48ml refill lasts 30 days. The spray is great for cats that travel, stay in catteries or are visiting the vet. It can be sprayed onto bedding and carriers. We love our cats and kittens and want to do the best for them, but sometimes our busy modern lives do not always make them happy. This is often reflected in the way they behave. Below are some recent questions we've received regarding Feliway Classic Diffusers, Refills & Sprays, including answers from our team. How long will 48 ml last? We are interested in this plug in. If plugged in just at night how long would 48ml last approximately? The manufacturer's guidelines state the the 48ml will last 30 days, which is with continued use. I found a feliway refill which is still in date. How can I tell if it's a 'new' or 'original' style refill? I have both types of diffusers. I had an old one, replaced it with a new one, only to find out a few months later that it had been discontinued so I went back to the original one but I can't recall which one the refill is for. My only issue with my cat is his constant spraying in the house. He sprays anywhere and everywhere, will this product help? It is designed for this purpose, so it should help a little bit. Spraying in the house is usually an expression of stress, so also bear in mind potential stressors that could be contributing to the problem. If you haven't already, speak to your vet about the problem and see what he advises. It looks like the OLD feliway diffusers are back on the market. Are your refills compatible with the NEW diffusers brought out April 2015? Unfortunately the manufacturer is no longer supplying the new diffusers they brought out in April 2015. A couple of months after launch, the decision was made to bring back the original style diffusers and refills, because some of the new refills leaked slightly. There won't be any changes to the original diffuser for some time now, but I'm afraid the diffusers and refills are not interchangeable. The original refills will not operate as efficiently in the new diffuser because it needs a warmer unit to evapourate the liquid. It would be best to buy an original style diffuser and refill and use these for now. The manufacturer hasn't been able to estimate when the next products change will be, but we have been assured that it won't be for a long time yet. I hope this has been helpful! Can I use too much Feliway? I have one diffuser in the hallway that two cats use and sometimes 'argue' in, is it O.K. to use another one in the living room (where there has been past spraying and scratching) while we are away on holiday to keep them calm or will that be too much? Is it possible to have too much Feliway in the house? 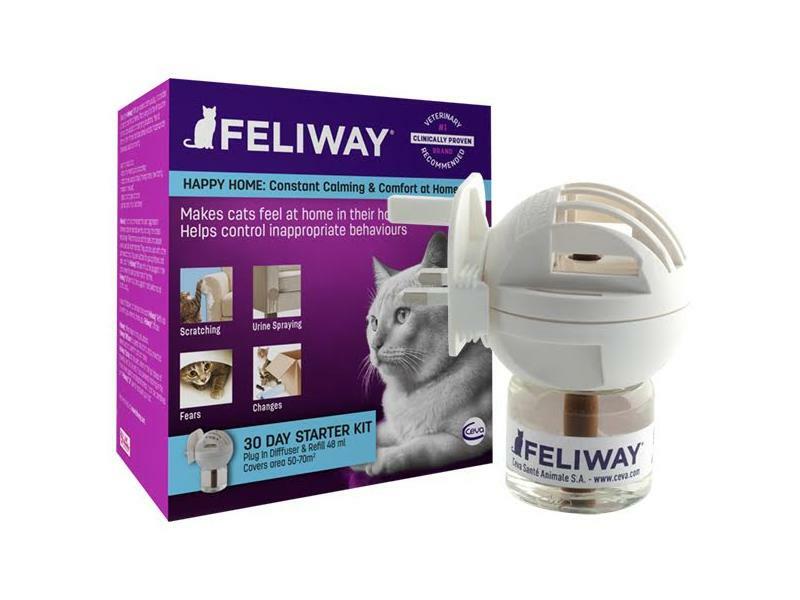 It will not cause any harm using additional Feliway. If there is an adequate amount diffusing through the air already, you will get no additional benefit from the extra supply. However it is often found that adjacent rooms are not properly covered unless they have their own diffuser. We would recommend an additional diffuser if this is indicated by your cats' behaviour. I would like to encourage one cat to be more comfortable around me and visitors to the house but she is very frightend of humans. I have a seriouse lung condition so am wary of anything dispersing into the air that I may breath. Both are indoor cats with plenty of access to fresh air. Advice please. There is virtually no chance of a Feliway diffuser affecting your lung condition. 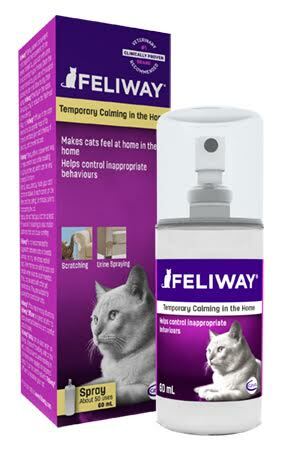 Feliway contains a pheromone which we are completely unable to detect in the air. Cats have specific sensors which make then very sensitive to the molecule, but to a human, the pheromone molecules are completely lost amongst the much larger quantities of spores and dusts in the air we all breath. 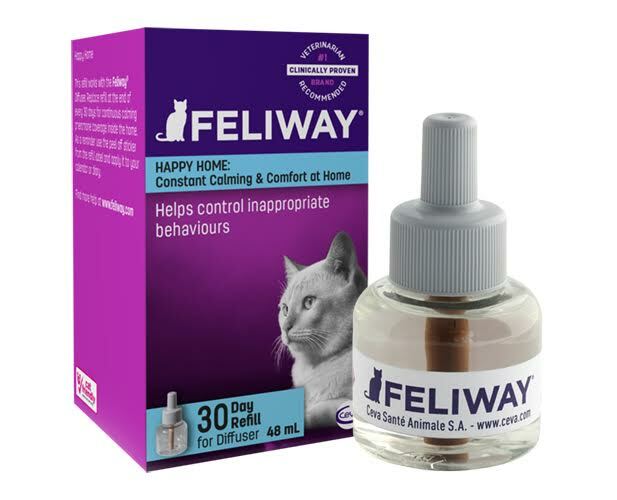 There has to be remote chance that in some way you could be sensitive to Feliway, so you should sensibly try it with caution first, but as a product it is regarded as completely safe for people, regardless of other health issues they may have.